As Europe gears up for the launch of the Clean Energy Package next year, the opening session will focus on the need for stable frameworks, political initiative, and long-term vision to sustain and further the huge leaps made by wind in recent years. WindEurope’s newly elected Chairman of the board and CEO of the RES Group, Ivor Catto, will deliver opening remarks before a formal welcome by NWEA’s CEO, Hans Timmers. Political leaders will take centre-stage: there will be keynote speeches by the Lithuanian Minister for Energy, Žygimantas Vaičiūnas, and Ando Leppiman, Deputy Secretary of State for Energy for Estonia, currently holder of the presidency of the Council of the EU. 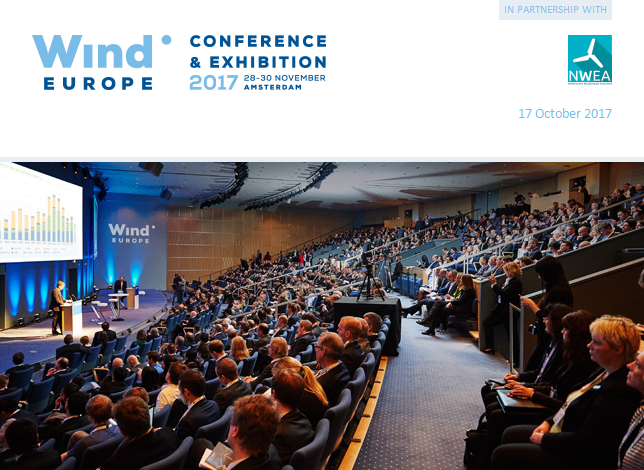 WindEurope CEO Giles Dickson will chair a panel during which the Event Ambassadors will debate industry trends and outlook.